iPage Promo Code | Real 75% Savings Coupon Code, Working In 2018. You are at:Home»Deals»Web Hosting»iPage Promo Code | Real 75% Savings Coupon Code, Working In 2019.
iPage Promo Code | Real 75% Savings Coupon Code, Working In 2019.
iPage has been providing affordable and reliable web hosting services since 1998. Now, with our iPage promo code, you can start building a website in 2019 even on the tightest of budgets! 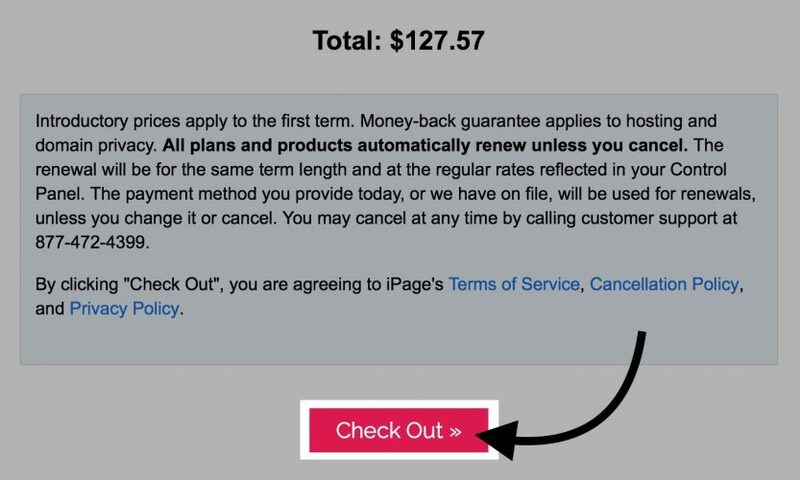 iPage has been in business for nearly twenty years, so there are a lot of coupon codes for April 2019 floating around online — many of which expired long ago. 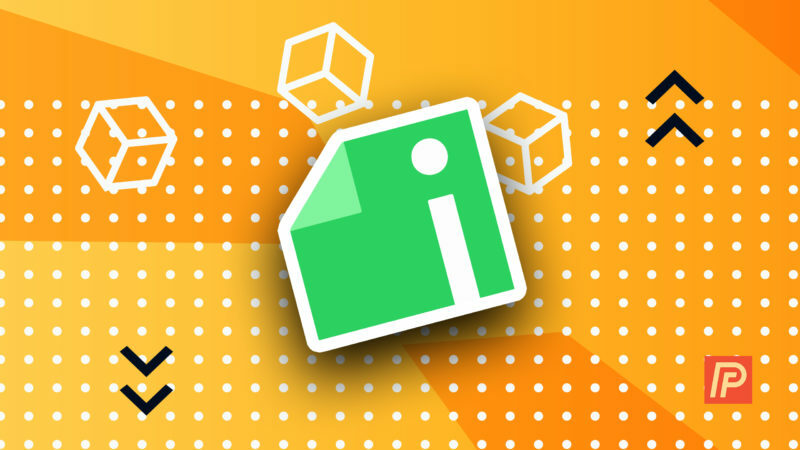 We wanted to save you time and money, so we found the best iPage coupon code available and are bringing it to you in this article. Use our promo code to save big on iPage web hosting in April 2019 and host your website for just $1.99 / month! How Do I Use This iPage Promo Code? Click our button to visit the iPage website. 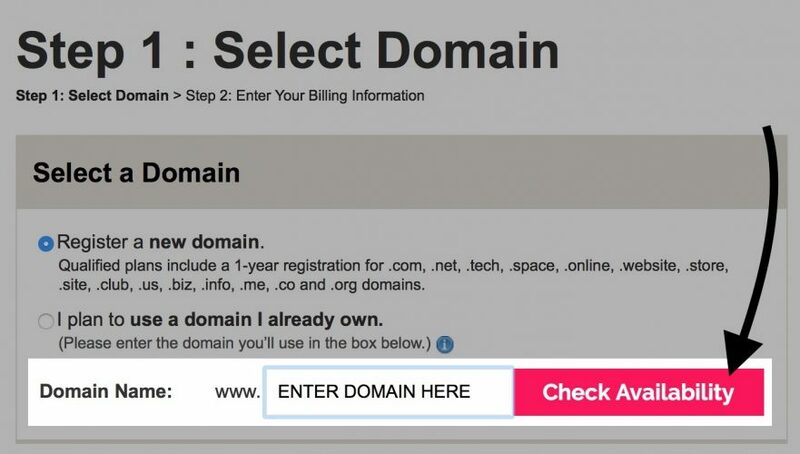 Redeem the free domain (your website address) included with this plan, or click the circle next to “I plan to use a domain I already own.” and enter the domain in the box below. Enter your Contact, Payment, and Purchase information. To get the best deal, make sure you sign-up for a 36 month plan. 12 month and 24 month plans are also discounted from the usual price, but the 36 month plan is the best overall offer. Choose any website essentials you desire. We recommend unchecking all of these boxes for now, as you can upgrade to the ones you need later on. At the bottom of the page, click Check Out. What’s Included With My iPage Hosting Plan? All iPage hosting plans include dozens of great features such as a free domain name, unlimited domain email addresses, unlimited disk space, a drag and drop website editor, 1-click WordPress installation, and much more. All these features can be yours at an incredibly low price when you use our iPage promo code. iPage also has a dedicated support team that can respond to problems 24/7, whether you want to contact them by phone or live chat. This company also has a ticketing system and troubleshooting guides for more complex problems you may run into along the way. If you’re not satisfied with your plan, you can get a full refund with iPage’s 30 day money back guarantee. If you really want to take your website to the next level, there are number of add-ons you can use to improve your website’s performance and security. iPages offers website security services and SSL certificates, which will help secure your website and the private information of your website’s traffic. Website backups, which can be a saving grace if something goes terribly wrong, are also offered by iPage. As I mentioned earlier, we recommend holding off on adding these features until later on so you don’t start paying for them before you really need them. We hope our iPage promo code will help you save some money in April 2019 so you can start building out your website with burning a hole through your wallet. This company offers amazing plans at great prices, which only get more affordable after using our coupon code. We hope you’ll achieve great success with your website and we’re happy we were able to help you on your journey! Note: We may receive a referral fee from iPage if you make a purchase after clicking a link on this page. Previous ArticleWhat Is Two Factor Authentication On iPhone? Here’s The Truth!